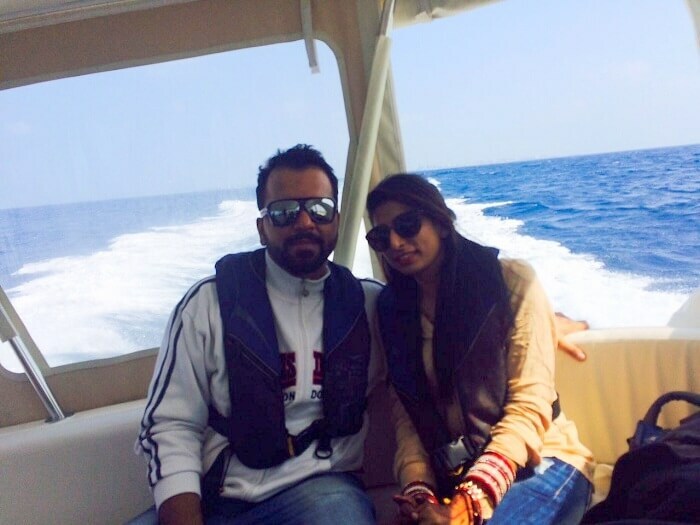 “Our honeymoon trip to Maldives was a fantastic affair! 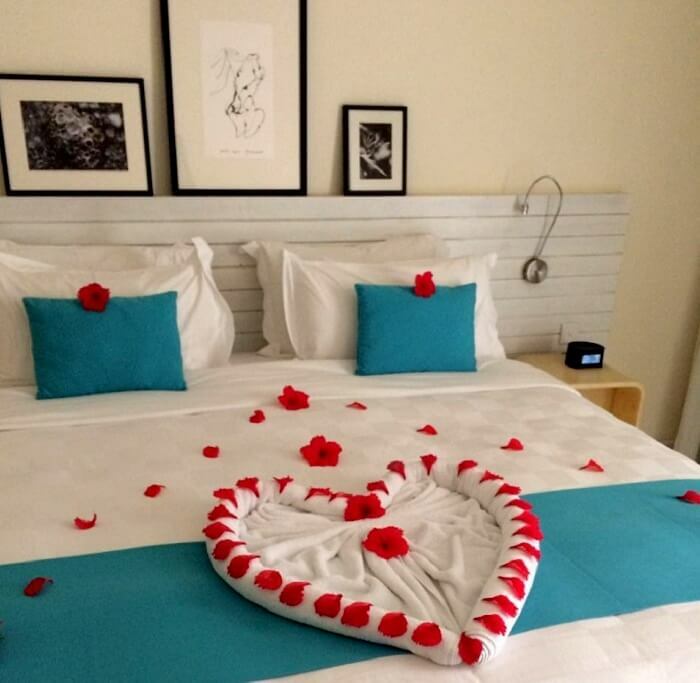 By the time it came to an end, we were completely mesmerized – all thanks to the breathtaking island beauty and our super amazing resort – Holiday Inn Resort Kandooma Maldives”. 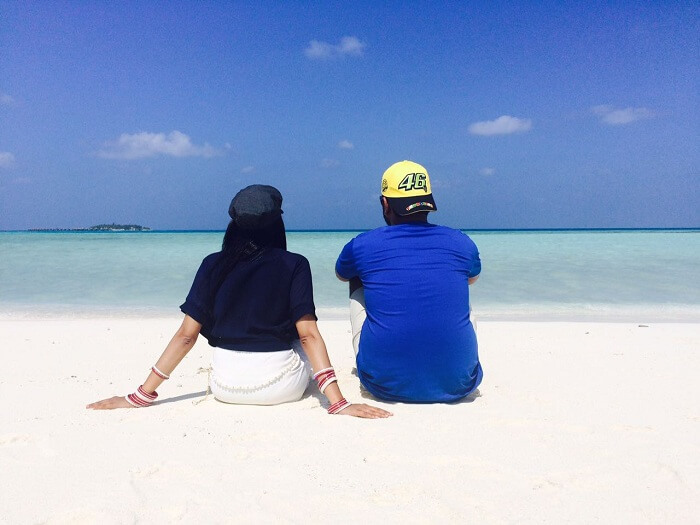 It gives me great happiness to talk about my honeymoon trip to Maldives primarily because every time I talk (and now write) about it, I relive all the amazing memories that we had. 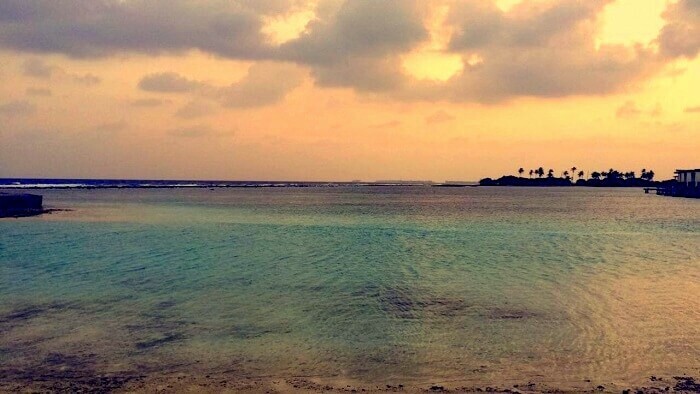 So why did I choose Maldives? Because of my wife! So when she was a kid , she saw a beautiful place in a picture book and ever since then she had always wanted to go there. Fast forward a decade or so – we were deciding our honeymoon destination and what did we find, an almost identical image that she had previously seen. 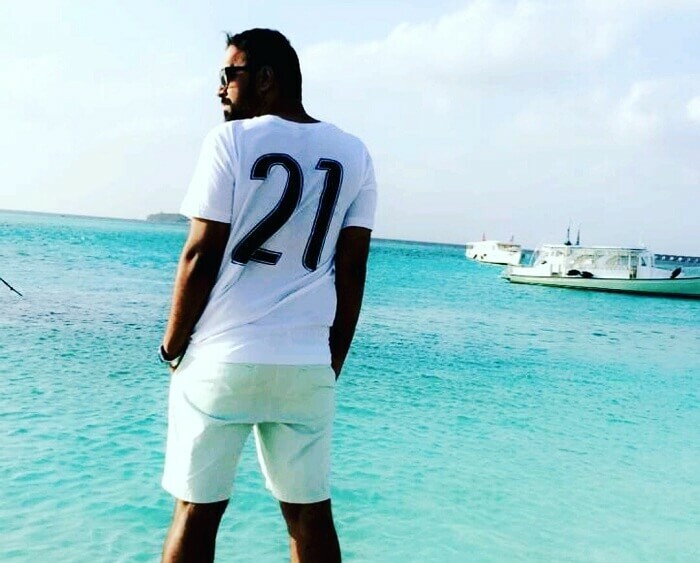 Turns out, this beautiful place was Maldives and after that there wasn’t really much to debate over. The decision was made! How did I find the perfect Maldives honeymoon package? TravelTriangle! I found about them on Facebook and believe me the whole booking process was too smooth to be true. These guys were so nice that they even helped me out when I defaulted on my payments due to the sudden demonetization policy. Also, the agent that they got connected to us for quotes and packages was awesome! Thank you! Now before I elaborate on my trip experience, here some basic details for all honeymooners out there! We boarded our flight from Mumbai and arrived in Maldives after a layover at Colombo. 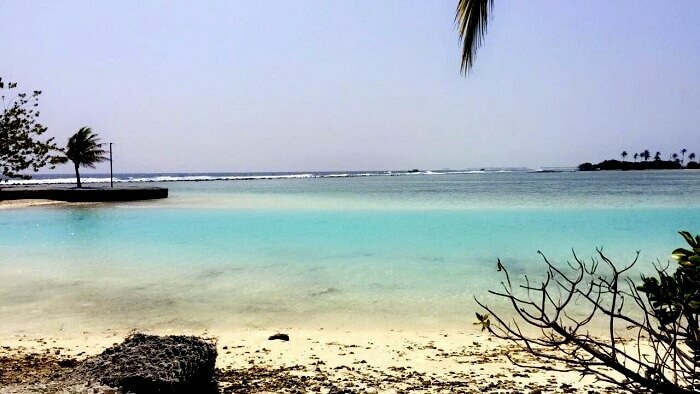 Upon our arrival, we were amazed by the whole bright and sunny ambience of the island and were now more than excited to reach our resort. At the airport exit, we met representatives from our resort – Holiday Inn Kandooma who transferred us to the island property via a speed boat, which, by the way was amazing! At the resort, we were greeted warmly and were shown our ocean and beach facing room. Also just for info, the ocean that we are talking about was some 10 steps away (jealous much?). Later after resting for a while, we explored the resort for a bit and then proceeded for a pool side dinner. The ambience was very lively here and there was a live band too. We also grooved to some the hit Bollywood songs! 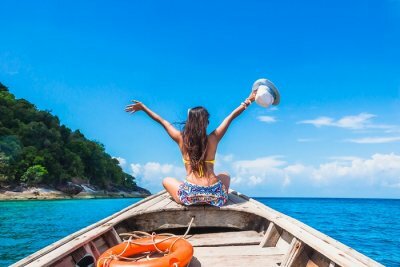 Exploring the island and the most wonderful sunset cruise! This day after breakfast, my wife and I grabbed an island map and began exploring it on our own. The property was vast and beautiful and even then in no time , we were acquainted with all of it. Since we knew, the resort offered a lot of enjoyable activities , we booked a few for ourselves too. These included, Sunset cruise, scuba diving, and the Dolphin cruise. 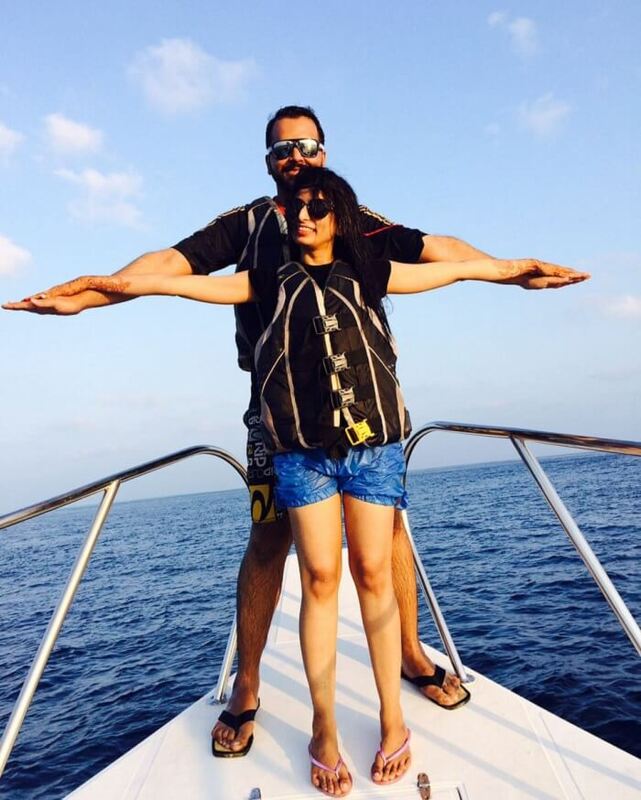 In the evening, we did our first activity – Sunset Cruise and for this, we were taken to the ocean on a speedboat. After some time, the boat stopped and the driver threw down huge nets on which we sat and waited for the sun to go down. True to our expectations, the sunset was beautiful and it was fantastic witnessing a natural phenomenon like this. Post this, we returned to our resort. Dinner was as usual a smooth and nice affair. Everything was fine until we entered our room and my wife saw a lizard crawling on the floor. Being afraid of it, she panicked and got scared, and in all the commotion we locked ourselves out of our room (wow!). Reluctantly, we walked all the way to the reception for the keys and upon our return this time, when we entered the room, my wife spotted a cockroach (great!) and got even more scared. Finally, we called the room service and together all of them tried locating the insect but couldn’t find it. Later seeing that my wife was really scared, they shifted us to a superior ground +1 bungalow – free of cost just so that we could sleep in peace. Needless to say, I was very impressed by the level of service and hospitality of the resort staff. Day 3: When we came face to face with a shark! 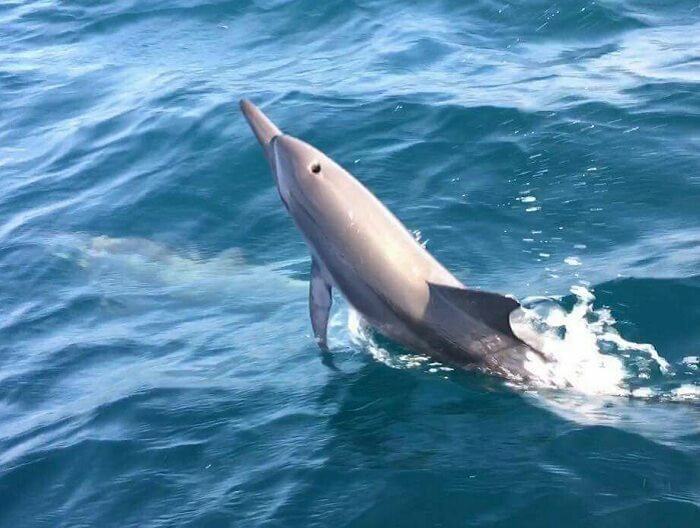 And a dolphin too! 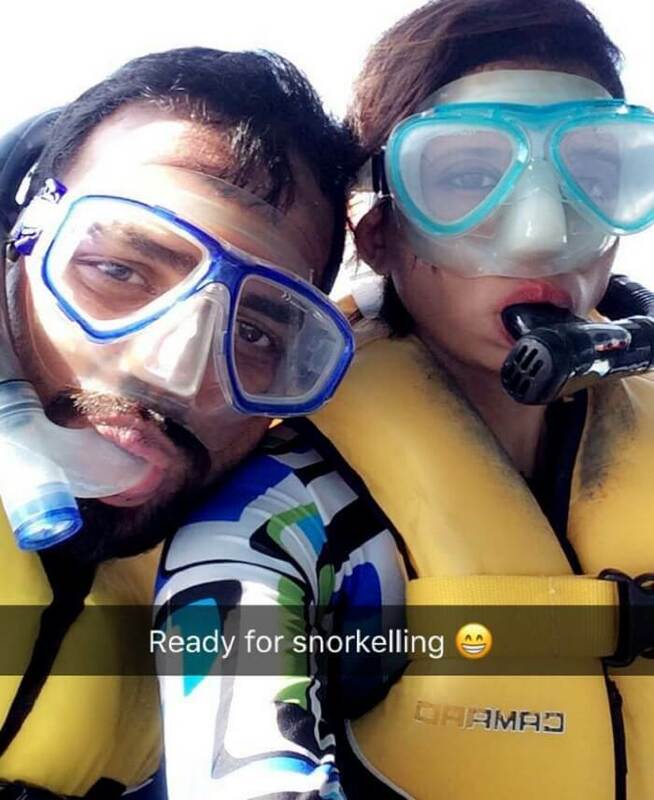 Today, we went Scuba Diving as booked the previous day. It was a wonderful experience something which we will never forget. Why? Because we encountered a 16 foot shark at a distance of just 2 feet from us. 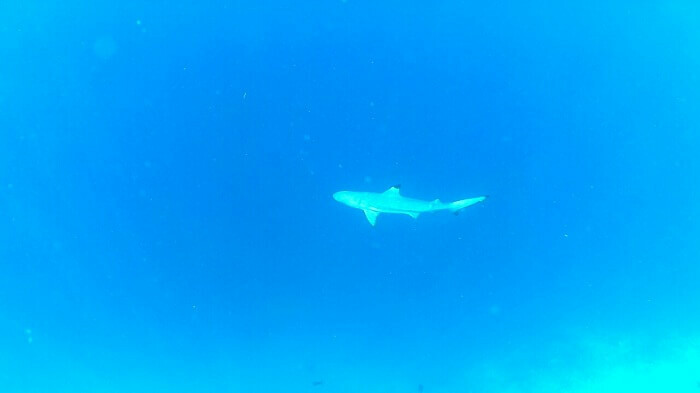 We were 14 – 15 meters underwater with our instructor when we suddenly noticed the shark coming towards us. Although it just came towards us and then turned back, encountering such a ferocious creature at such a distance certainly scared the hell out of us. But yes, we were mind blown! 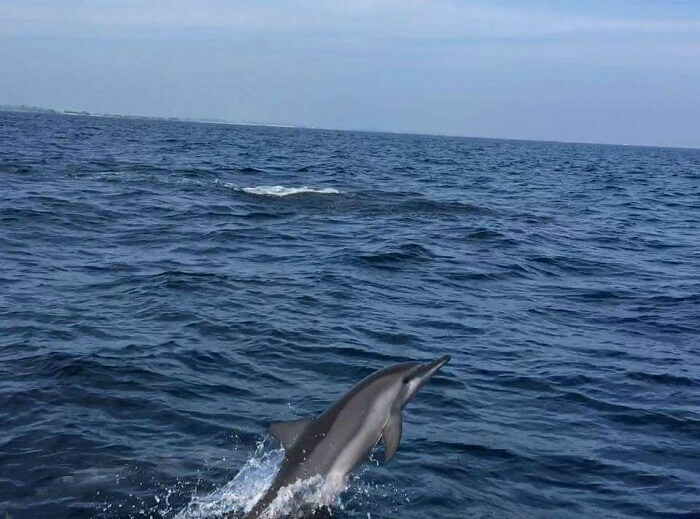 After scuba diving, we rested for a while and then went for our third activity, that is, the Dolphin cruise. And believe me when I say, this too was a once in a lifetime experience. Upon the reaching the dolphin sighting spot in the ocean, we were able to see more than 100 dolphins all around us diving up and down. 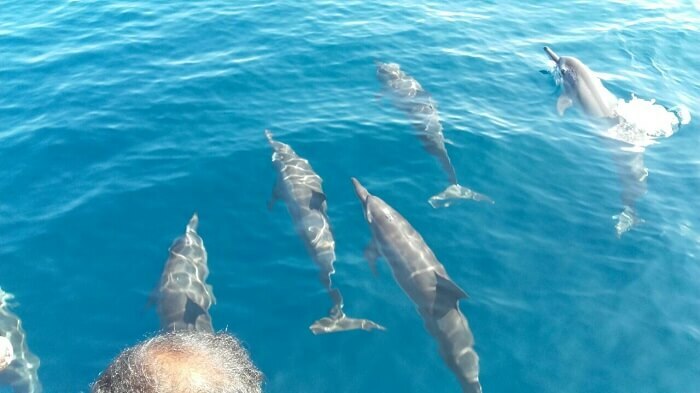 It was beautiful beyond imagination and by the end of the cruise we were truly in awe with the gentle lovely creatures! Overall, the day was very well spent. In the night, at the dinner, we were joined by a few other Indian couples and together, we all had a great time. Day 4: Water villaaaa, finally! 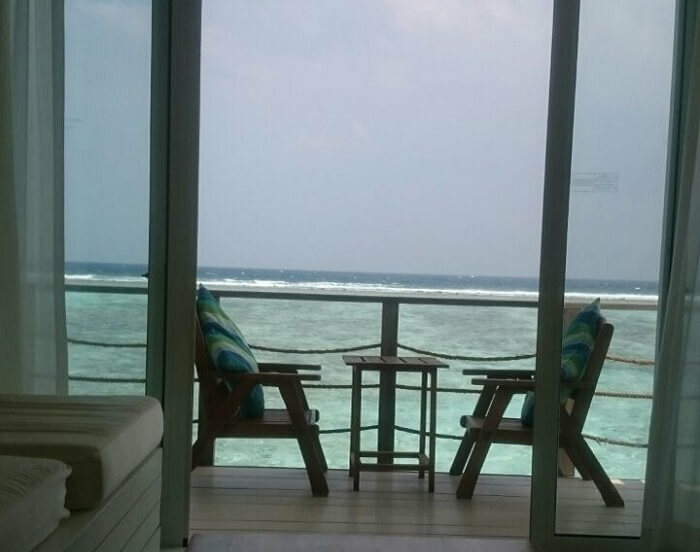 Staying at a water villa was something that we were really really looking forward too! So as soon as we were allotted the villa (as per the itinerary), we rushed inside to the see the ocean view and boy, it was amazing! It felt as if we were literally living on the ocean and that was a feeling that is hard to describe in words. Naturally, we did not want to leave our villa, so we ordered our lunch in the room itself. In the evening, we went to a restaurant called ‘The Deck’ and had the most wonderful dinner basking in the sunset view. It was blissful. Day 5: Ending our trip on a snorkeling note! This was our last day and post our checkout at 12, our honeymoon had still not ended for the hotel had allowed us to use all the facilities except for the room till we boarded our ferry in the evening. Happy at this prospect, we spent our rest of the time snorkeling! Finally when we were done, we reluctantly left the hotel. 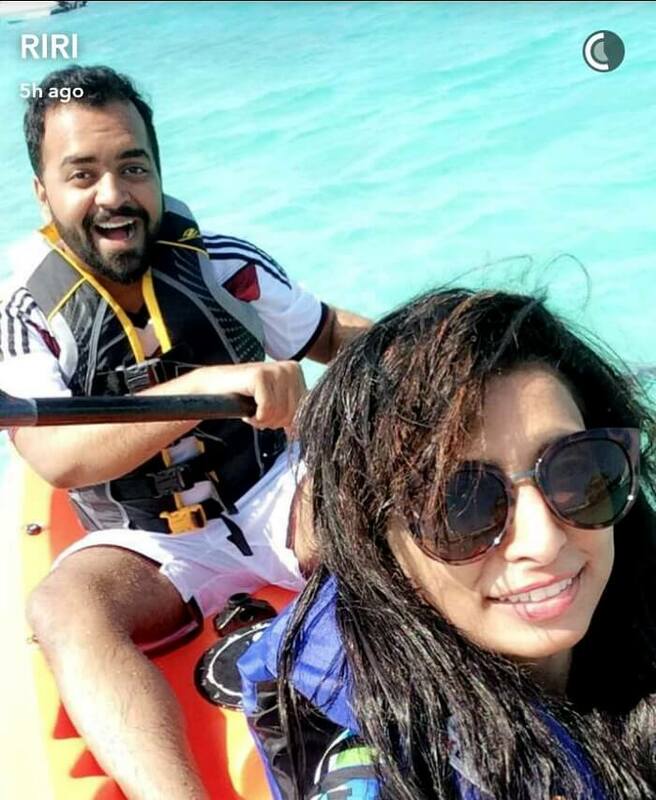 Suggested Read: Honeymoon In Maldives: An Ideal Stay Of 4 Days And 3 Nights! 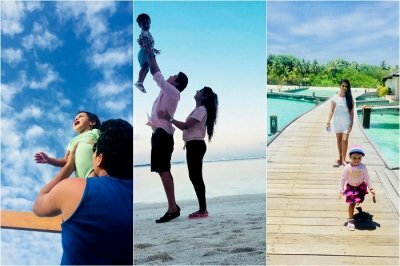 Maldives for us would always be a warm & joyful memory that made our special trip not only more beautiful but also incredibly relaxing. We wanted to get away from the bustles of city life and this destination gave us a paradise – something we were not expecting at all! Our resort, Holiday Inn Kandooma, was a perfect retreat for us and the hospitality and services these guys offered were out of the world. On our 4th day, my sunglasses (gifted to me by my sister) accidentally fell down in the ocean and believe me, the divers from the hotel spent 45 mins searching for it in the ocean. They found my prized possession and were more than happy to do it (God bless them!). 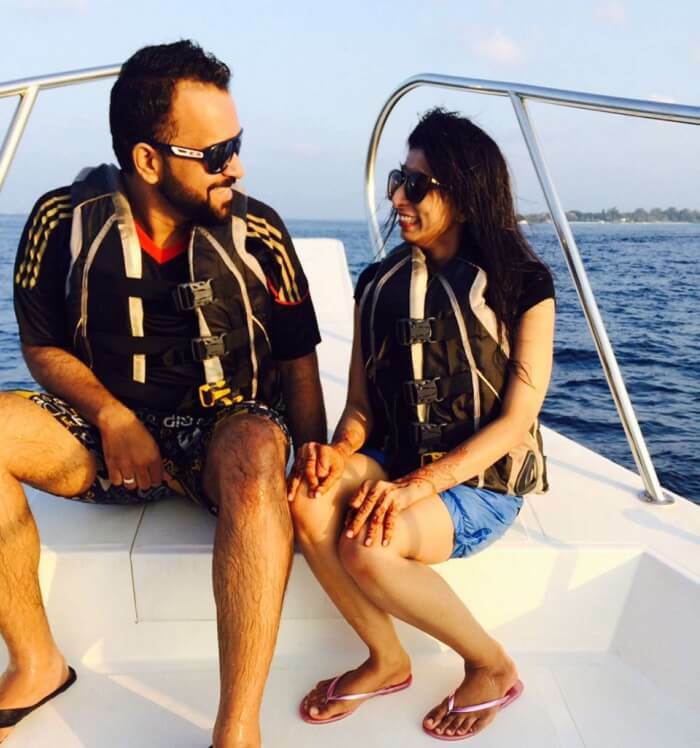 Sunset Cruise, Dolphin Cruise, & the Scuba Diving experience – all three were amazing for lack of better words. Things that could have been better: None! Everything was perfect! 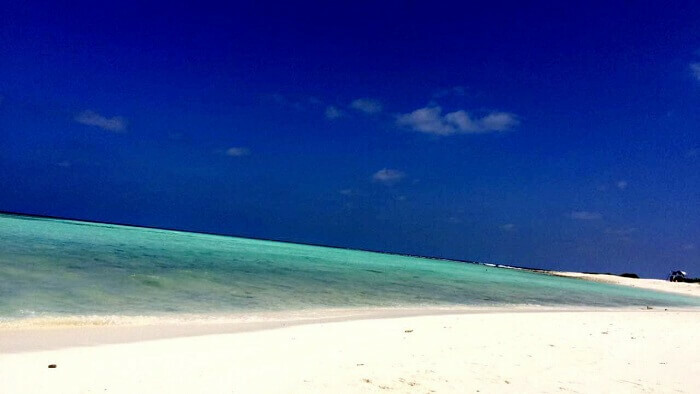 Tips for fellow travelers going to Maldives: This is a paradise for honeymooners. Go for it if you want to spend some really good quality time with your partner – away from all the hustle. Holiday Inn Kandooma is an excellent property and offers impeccable services and activities. 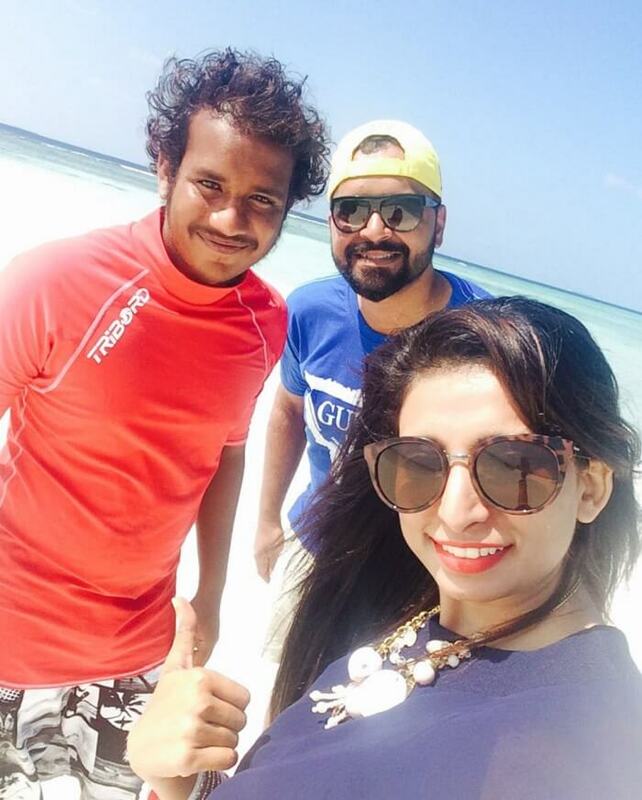 Maldives was a heavenly experience for this couple. 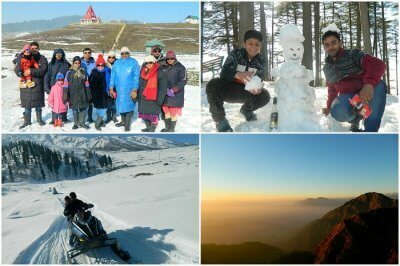 Their special trip was superbly complemented by the tropical charm of the country and this can happen with you too. Simply book a Maldives honeymoon package here.